Welcome to my little spot on the World Wide Web. 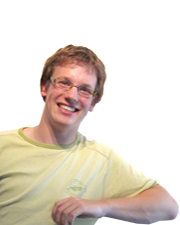 I am Joep Weijers MSc, a software engineer currently employed as Build Master at TOPdesk. Besides working, I'm active in youth work through Scouting. When I'm not at Scouting, you might find me working on my car or various projects. My interests include, but are not limited to, computers, web design, cars, synthesizers, 3d printing, gadgets and youth. Expect most of these topics to recur on my Twitter feed. This page is both meant to tie all my different social networks together, as well as giving an overview of my duties and activities, you can follow me on Twitter to keep up to date! I love to tinker with hardware and software and creating new and useful tools, both digital and physical. I find it a big shame that a lot of good stuff is thrown away because it exceeded its support lifespan. I keep some technical notes here so that we can keep some of this old stuff working! You'll also find links to my blog posts here. Put everything in version control! You can find me on facebook. I use facebook to keep in touch with my friends and family and occasionally post a picture there for them, so my privacy settings are set to friends only. Public thoughts and other stuff I'd like to share with the world can be found at Twitter. Just hit the "Joep @ Twitter" button to the left. I completed the Masters program Computer Science at the Delft University of Technology with Software Engineering as chosen specialization. In 2006 I started the Bachelor Technische Informatica (Computer Science) at the TU Delft. The study addresses a large variety of topics, like database systems, sofware testing, software engineering, embedded systems and algorithms. To become even more knowledgeable at these topics, I chose the specialization minor, which added subjects like distributed systems and principles of programming languages. In 2009 I finished my Bachelor by writing a thesis on the project I did at the Dutch Childhood Oncology group. The thesis is public and can be found in the TU Delft repository. In 2008 and 2009 I was a student assistant in the ST3 Embedded Programming project. The project required teams to program a Linux kernel module and userland application to let a robot navigate through a maze autonomously. My job as student assistant was to keep an eye on the progress of the groups and assess their deliverables. 2009 also marks the year I started my Master Computer Science. The Master touches upon several topics from the Bachelor, but goes much more in-depth. I completed my Master's degree with my thesis titled: "Extending Project Lombok to improve JUnit tests", in which I looked at ways to remove boiler-plate code from JUnit tests in Java. The thesis can be found in the TU Delft repository. I started in november 2011 with my Master's thesis, titled: "Extending Project Lombok to improve JUnit tests", at TOPdesk. Upon completion of my thesis in august 2012, TOPdesk offered me a job as developer, which I gladly accepted. Since May 2016 I am working full-time as Build Master, ensuring the 80 developers of TOPdesk can gather and deploy their changes in a smooth fashion. This involves tweaking Jenkins, wrestling with Maven and loving Docker. In September 2017 a group of developers (including me) started up a development branch in Tilburg. Besides reducing our commute, this presence in the south of the Netherlands will also allow TOPdesk to grow even more. We are looking for colleagues! See our recruitment site for more information. TOPdesk is an international software and consultancy organization with over fifteen years experience in the field of service management. TOPdesk aims to offer user-friendly, modular and practical software. The product TOPdesk is build in Java by an international development team in Delft (the Netherlands), Tilburg (the Netherlands), Kaiserslautern (Germany) and Budapest (Hungary). The applied software development methodology is Scrum, to provide an agile way of adding features and meeting product release deadlines. After writing my Bachelor thesis at DCOG (or SKION in dutch) in 2009, I was hired part-time to further develop our proof of concept application. The Dutch Childhood Oncology group brings professionals in the field of children with cancer together, such that the children may get the best possible treatment. Important aspects are the registration of all children with cancer and research in its in-house laboratory. Every three months, expert pathologists and child oncologists from different academic hospitals all over the Netherlands meet digitally, using video conferencing, to review patient data. The goal of this review is to set a classifying diagnosis, or in some cases to assess an already set diagnosis. To support this meeting, we developed the Digital Review web application in PHP, a patient information system combining data from several medical systems. Some more info about this application can be found in the online portfolio of Martijn Tijsma, project manager and GUI designer of the application. I enjoy driving in oldtimers. My daily drive was a 1978 Autobianchi A112 for six years, until I upgraded to a Peugeot 205. Off-road driving is another hobby I enjoy and can be combined with driving oldtimers. The off-road vehicle of choice is my 1986 Land Rover Oneten CSW v8 or my dad's 1977 Land Rover series 3 Lightweight. I am present at several off-road events of the LRCH, the Land Rover Club Holland. I occasionally take my camera with me, so below are some albums with pictures of LRCH events. I've been a member of Scouting Vught-Noord since I was a little boy. Every weekend I'm present in Vught as a scout leader, a job that involves creating and executing programs. To combine my hobbies Scouting and Land Rover driving, I became a member of Scouting LAROS, a scouts group aimed at providing vehicular support for Scout events. In between the support activities we try to meet up for some greenlaning or fun weekends, usually involving our vehicles. When I started my studies in 2006, I became a member of the student Scouting group the Delftsche Zwervers, a small (~25 members) student association in Delft. Some of the notable roles I fullfilled are two terms as secretary, the internet commission and the summercamp commission. The first commission involved maintaining the website, the summercamp commission organises summercamps for kids who don't go on holidays due to financial reasons. This requires recruitment of summercamp leaders, creation of the summercamp program and fund raising. More info on these summercamps can be found at www.kampjes.nl. In 2015 I was involved in the organisation of the combined anniversary and reunion of the Delftsche Zwervers. One of my tasks was the creation of the website.